Baijayant Panda's 'Heijau' Turns Out To Be A Tragic Moment As Admirer Put BJP's Scarf On Him! In a similar format of PM Modi’s Chai pe Charcha, former Kendrapara MP Baijayant Panda has started ‘Heijau’ few days back to connect directly with his supporters on ground and it’s true that he got a decent response. But the occurrence happened today put everyone on hold and brought up many questions which can only be answered by the former MP himself. 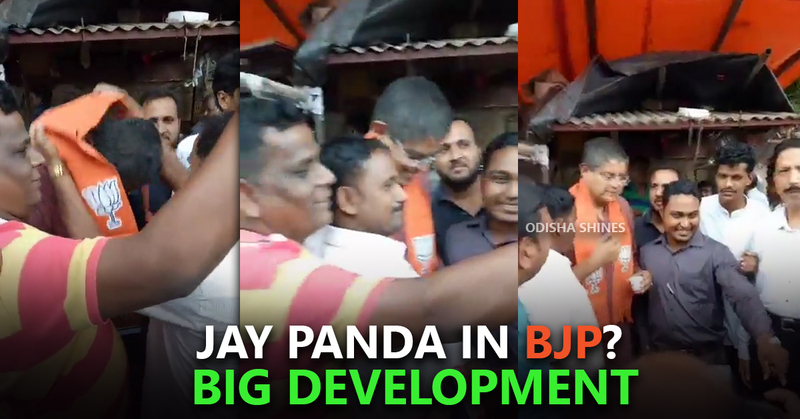 In a public interaction meeting at Manguli Tea Stall next to Shaheed Bhawan CMC Road, Choudhury Bazaar, Jay Panda was greeted by one of his admirer in an exceptionally uncommon manner yet questionable. The person tried to embrace Mr. Panda and after that put a saffron scarf around his neck having BJP symbol lotus on it . Which he accepted without any hesitation and after taking couple of pictures with the person he removed it but in this short time, the media has got their clippings for the day to run it on repeat mode with the breaking news headlines. So far as it appears as though Jay Panda is set for turnaround the political situation in Odisha and circumstances are changing quick then one can accept. 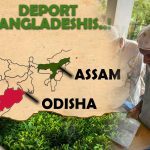 Jay Panda is already impressed by the policies and development-oriented politics pursued by Prime Minister Narendra Modi and his dominance in Indian politics.